These Police Boots made by NorthWest Territory are quality leather and will keep your feet dry whatever the circumstances! These Boots are made by Northwest Territory and are waterproof. The shape and style is of a combat boot worn by armed forces. The material is made from premium quality leather/nylon uppers. The boots are fully waterproof and there are some reviews which also confirm this. For some added comfort there is a padded insole and the sole is made of tough rubber. 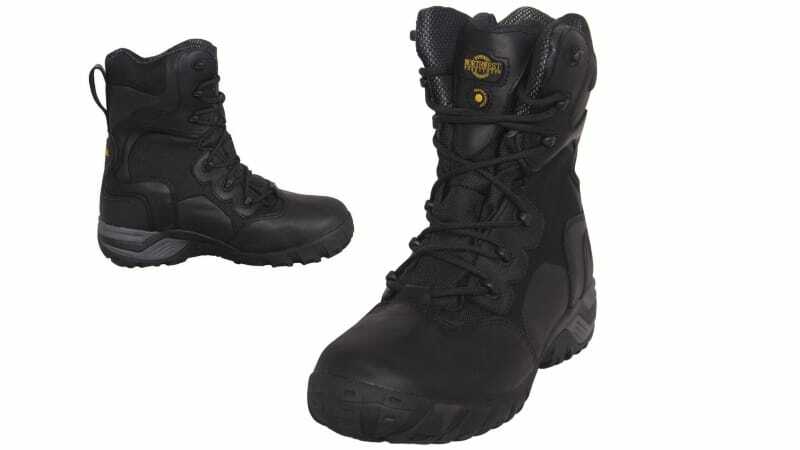 They are currently priced under £50 which is not a bad price for a fully waterproof pair of police boots.